Sorry for the delay. Just busy with office & family. Had my cousin's wedding last week & was busy with preparations. My latest buy was this Chambor Dramateyes Mascara since I lost my Max Factor mascara during the wedding hulla-bullu. It is very difficult to go around without a mascara, I felt as if my eyes were missing them a lot. So before going onto my vanity box, I thought I can review Chambor Dramateyes Mascara- Black. I actually wanted to buy Bourjois mascara that has some gel technology, but there was no Bourjois counter in the Health & Glow outlet I went yesterday. I was looking around not knowing what to buy, then finally this SA from Chambor walked up to me asking me what I was looking for. I haven't ventured into Chambor till now , but finally gave in to temptation. 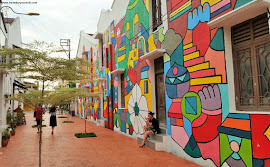 At the back of my mind the image of my husband who was waiting in the car flashed (we didn't get parking). Come on Harine, u got to choose really fast. The price is INR 545 which I feel is moderate for a mascara. Isododecane,Glyceryl Rosinate, Disteardimonium Hectorite, Magnesium Carbonate/Hydroxide, Trihydroxystearin, Synthetic Beeswax, Kaolin, Alcohol, Water, Polyetylene, Phenoxyethanol,Nylon 66, Prppylparaben, Methylparaben. 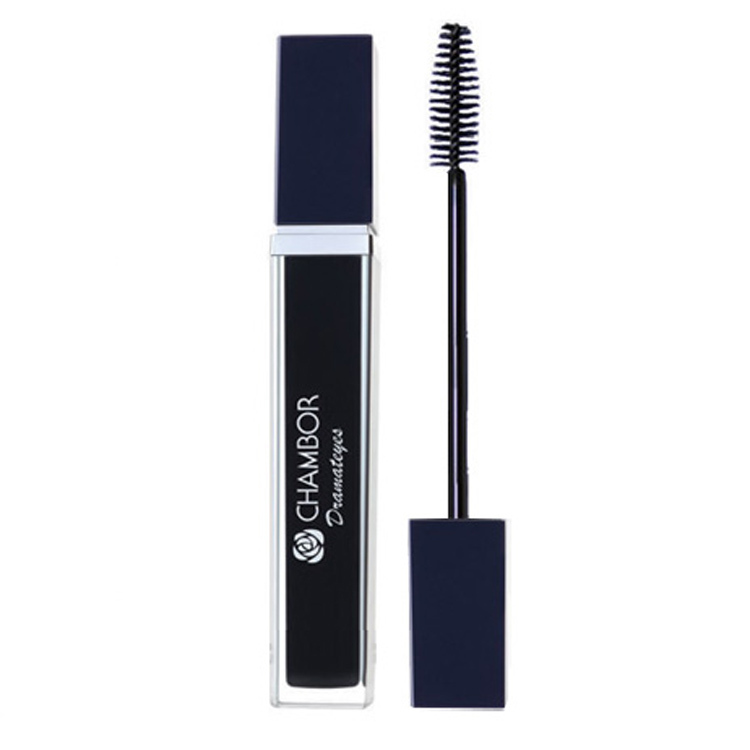 Chambor Dramateyes Mascara- Black- What Chambor claims?? Waterproof Mascara with nylon fiber for giving the length & thickness to the lashes. 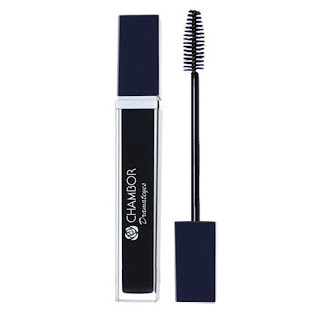 Chambor Dramateyes Mascara- Black comes in a sleek black tube. The brush is so lightweight when compared to other mascara's brush, and hence it is so easy to apply. The bristles are of varied length probably to give a natural look to the lashes. The Chambor Dramateyes Mascara is of the right texture(not too dry/not too watery). 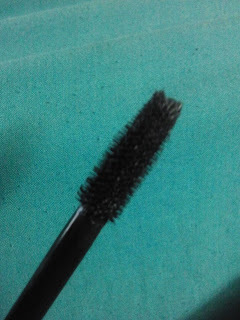 Though I have thick & curly lashes, I had to apply the Chambor Dramateyes Mascara 3-4 times for a good coverage. It feels so light weight and my lashes doesn't seem to be clogged with mascara & gives a natural long, curly lash look. The only BIG disadvantage of Chambor Dramateyes Mascara is that it takes real time and effort to get it off. I usually wash my face with a mild soap before going to bed, but last night I had to rub off the product nicely , but still it went in vain. I used the Maybelline Eye & Lip makeup remover to remove it properly. 6: Lashes doesn't seem made up. 1: Waterproof to a great extent. If you rub too much, lashes might fall. 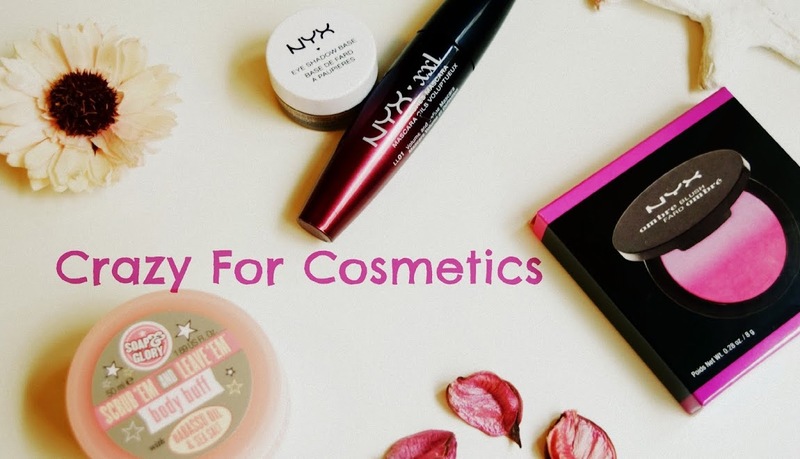 Today's blog is about the Max Factor False Lash Effect Fusion Mascara in black.The mascara comes in a lavender color tube with a long brush with fine numerous bristles. 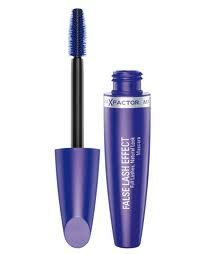 What Max Factor claims about Max Factor False Lash Effect mascara ? Creates both volumizing and lengthening effect which can even create the effect of false lashes. My opinion about Max Factor False Lash Effect mascara :It is able to create thick lashes in just few strokes.I have curled lashes by nature, so I only wait till my lashes build up in volume. But I did try it out on my mother whose lashes aren't curled or thick and it did give a partial false lash effect. Refer to this link for the photo where I have used this mascara.http://crazy4cosmetics-india.blogspot.in/2013/01/maybelline-hyper-glossy-liquid-liner.htmlThe brush has lots of minute bristles that is able to transfer the product better on the lashes.The mascara has a unique smell that lingers till you finish applying and later wades off.It dries up quickly on application and doesn't smudge.It is waterproof and is easy to remove.The texture is pretty thick which I think can end up drying in the tube quickly.Max Factor False Lash Effect mascara - Is it value for money?The quantity is 13.1 ml for INR 600 which I feel is pretty good value for money and of course the product is good. I use it during working days because it saves my time. 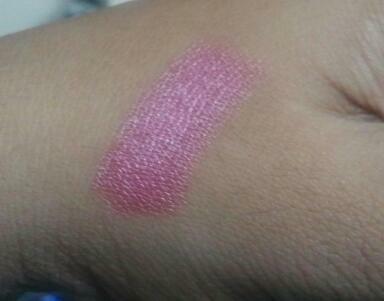 I just need to apply it 3-4 times in each eye.And I got a small cute little lipstick free for purchasing this,the shade is called English rose. 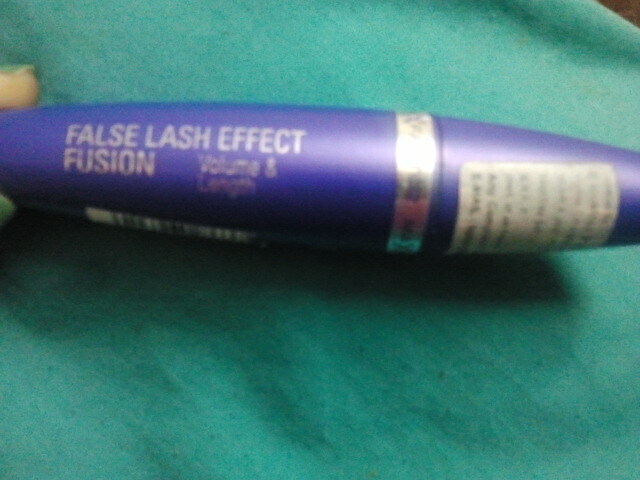 I bought the Max Factor False Lash Effect mascara from Lifestyle in Express Avenue, Chennai. Max Factor False Lash Effect mascara -Pros:1:Creates pretty decent false lash effect.2: Availability in stores.3:Value for moneyMax Factor False Lash Effect mascara -Cons (the only one I found):Dries up quickly in tube, am adding few drops of mineral water every week .Max Factor False Lash Effect mascara -Would I repurchase?Probably no, I want to try out other brands as well.